Australia has a number of warm cities to enjoy a cold beer with friends, fine wine and restaurants with the ones we love and a little bit of gold old fashioned adventure. Slipping into Perth in BMW’s latest five-series model was no hardship; but under the radar? …well not very easily. People’s attention was drawn to the lengthy body of the BMW 535i Gran Tourismo, the sleek headlight design (of course) and the kidney grille, but also to the new rear end. 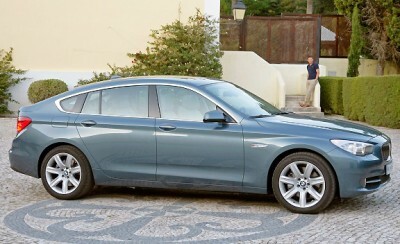 BMW’s new Gran Tourismo models feature hatchback/fastback styling which sweeps down at the car’s haunches in elegant grace. In white, the car’s exterior was fresh. The chrome surrounds on the window work looked gorgeous, and the six pairs of gleaming spokes on the alloys were simply stunning. But just wait till you get a chance to slip inside the large easy access doors. Copious amounts of space, seating luxurious and equipment levels matching the best of the 7-series, this blend of style and comfort is unmatched. An easy to read speedometer, perfectly positioned switchgear, and front seats that are so very comfortable to sit in, are heated, and electrically adjustable to make sure that the hours spent on the road are as relaxed as possible. In the rear the seats can be electrically adjusted as well. There is so much room for long legged adults, that I think this bonus will be a key selling point on its own. The sound system is clear and very powerful and you can opt for a DVD entertainment package as well. A USB point, telecommunications and satellite navigation can be added if required. An excellent feature that the Gran Tourismo has as standard is the Head-Up Display. This presents important information like speed, navigation directions and alerts directly in the driver’s field of vision. The information is projected via the windscreen into the driver’s field of vision, thus minimizing distraction. It works extremely well. Excelling on the road, the ride quality of the BMW 535i Gran Tourismo is second to none, and the level of grip under hard cornering is superb. This is a fun car to drive and always feels well composed on any road surface. An Active Steering package is offered to buyers as well at an extra cost. Under the bonnet, the BMW 535i Gran Tourismo has a powerful engine that asserts itself over other power plants in a quiet, no-fuss manner. BMW have been making straight six-cylinder engines for decades now, and the award winning 225 kW motor boasts 400 Nm from very low revs. Outstanding performance comes with impressive all-round economy with fuel consumption at just 8.9 l/100 km. Plant your right foot where the road open up, and the gain in speed is instantaneous and forceful. A well muted growl can be heard to tickle the driving enthusiast’s ear – that’s if the kids aren’t watching the latest Wiggles video on the DVD entertainment system. The BMW 535i Gran Tourismo comes with the new eight-speed Steptronic automatic transmission that offers smaller increments between gears, increasing the ride and shift comfort. Noticeably faster gearshifts and more flexibility ensures the 535i Gran Tourismo uses the optimum rev range. This reduces fuel consumption and lowers CO2 emissions. In a little over six seconds, the 0-100 km/h dash is completed. And where the road is right, you can experience a magical 250 km/h limited top speed. Very strong in construction, and loaded with the most up-to-date safety features available, you are in very good hands inside a BMW 535i Gran Tourismo. All the best Active and Passive safety features are there. In my book one of the standout items on the safety list is the BMW Night Vision feature. With this feature, the system reveals objects up to 300 metres ahead of the vehicle – thanks to an infrared camera that transmits images to the Control Display. BMW is the world’s first car maker to offer person detection. Intelligent algorithms look specifically for pedestrians shown in yellow in the video. Should the system detect any danger to individual persons, the driver receives an additional warning on the Control Display or optional Head-Up Display. If you are looking for something a little more exotic and glamorous in appearance, then you will have to take a look at the impressive BMW 535i Gran Tourismo. For any more information on the BMW 535i Gran Tourismo, or for that matter any other new car, contact one of our friendly consultants on 1300 303 181. If you’d like some fleet discount pricing (yes even for private buyers! ), we can submit vehicle quote requests out to our national network of BMW dealers and come back with pricing within 24 hours. Private Fleet – car buying made easy!